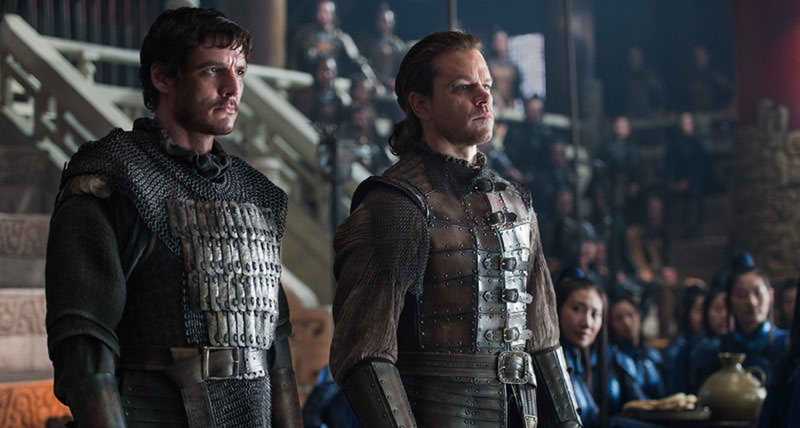 Admittedly, "The Great Wall" had our red flags raised ever since we heard about the film. Everything about it just seemed off and we were not even considering the film's decision to enlist Hollywood actors to bump up its stock globally. But here's the thing, "The Great Wall" was actually a lot of fun. It's definitely rough around the edges but the upsides more than outweighed the downsides. A mercenary warrior, William Garin (Matt Damon), and his partner (Pedro Pascal) are on the lookout for the mystical black powder from the East. Being pursued by Mongols, they are at wit's end when they accidentally stumble upon the Great Wall where they are imprisoned by its Imperial Guard. 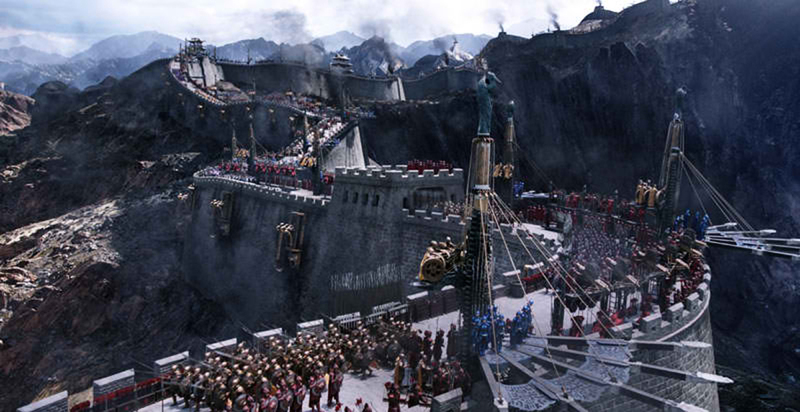 There they discover that the Great Wall was built to protect China's capital from monsters known as Taotie. As wave after wave of marauding beasts, intent on devouring the world, besiege the massive structure, William's quest for fortune turns into a journey toward heroism as he joins a huge army of elite warriors to confront this seemingly unstoppable force. Let's get the elephant out of the room - most of the things we anticipated to be rotten turned out to be quite palatable. The narrative itself won't win any awards but it was acceptable. It really helped a lot that the lore behind the monsters had actual depth compared to what we were led to believed early on and the writers were able to properly tie-up why Western characters are in China right smack dab the middle of a monster invasion. Well, let's just say the story could have been way sillier than it turned out to be. The cinematography was outstanding and Zhang Yimou truly shows his colorful roots here. The costumes alone are top-notch and the bright uniforms of the Imperial Guards transform even the most mundane scenes in the film into eye-popping experiences. Additionally, we loved the chemistry between the actors. The Damon and Pascal duo was a lot of fun to watch with Pascal endlessly delivering witty one-liners to keep the atmosphere upbeat. Matt Damon was also able to forge some serious connection with the Asian cast and a lot of scenes turned out to be emotional. The biggest downside for "The Great Wall" had a lot to do in delivering a consistent experience. For example, the visual effects were a mixed bag of A-grade to laughably amateurish. Also, the story had a lot of loopholes and head-scratching moments. Of note is how idiotic the Chinese were in deploying their arsenal of weapons. Overall though. "The Great Wall" is a watchable film. It's a thrilling experience with a heck load of action and emotion to boot.